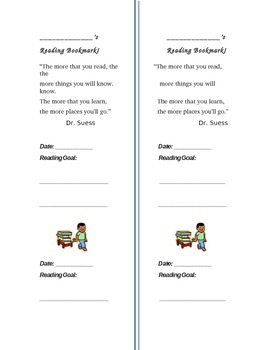 Bookmark for kids to use that contains two sections for reading goals. I conference with students and try to give them a reading goal every week (or every other week). I like having both sections, so they can look at their previous goal, instead of just forget about it.